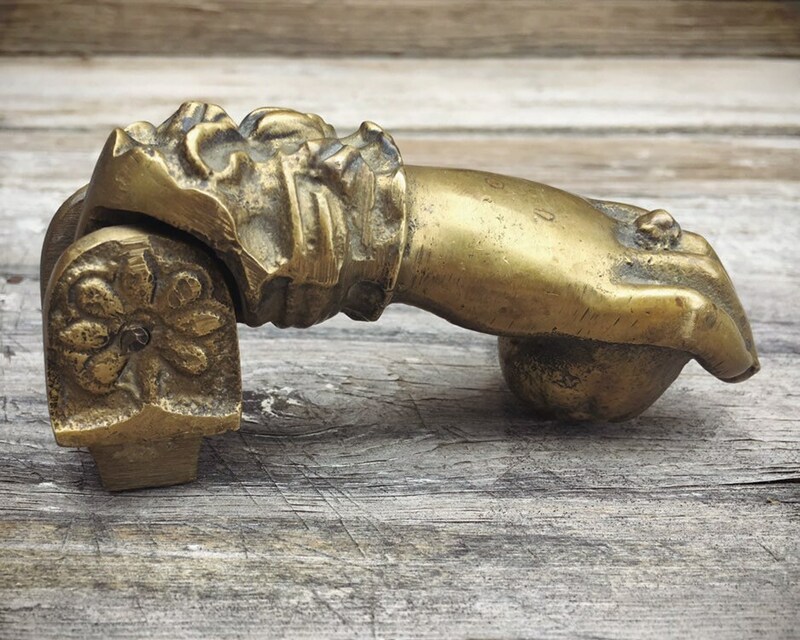 This heavy yet not too large vintage brass hand and "ball" door knocker is a beloved style yet with a twist. 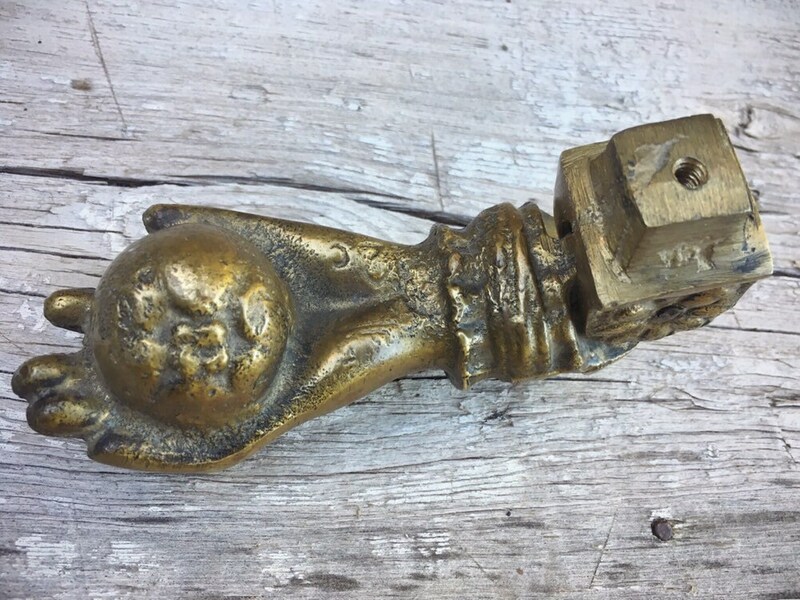 It is Victorian, and although we don't know if it was Mexican, this style of knocker was at one time popular in Mexico, brought by the Spaniards via the Moors. 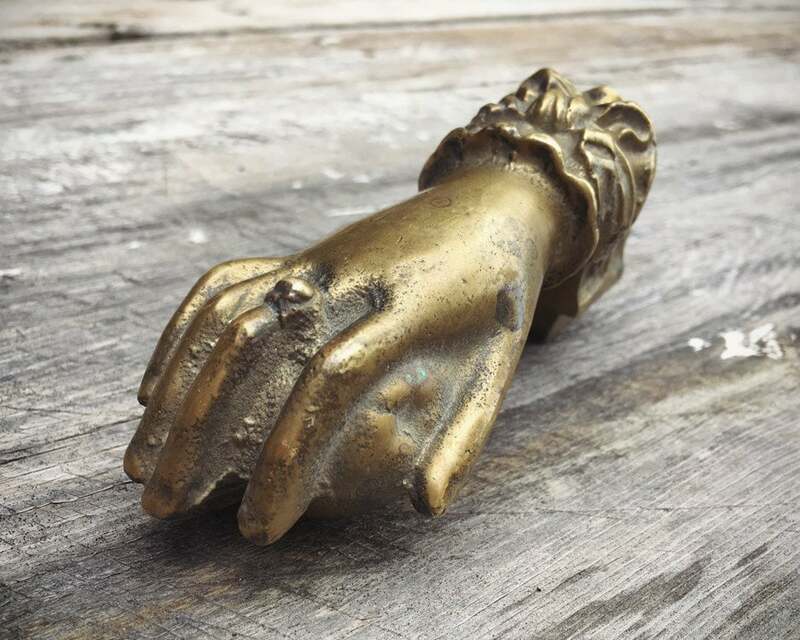 In Mexico is referred to as la Mano de Fatima, and is said to protect the home and ward off evil. 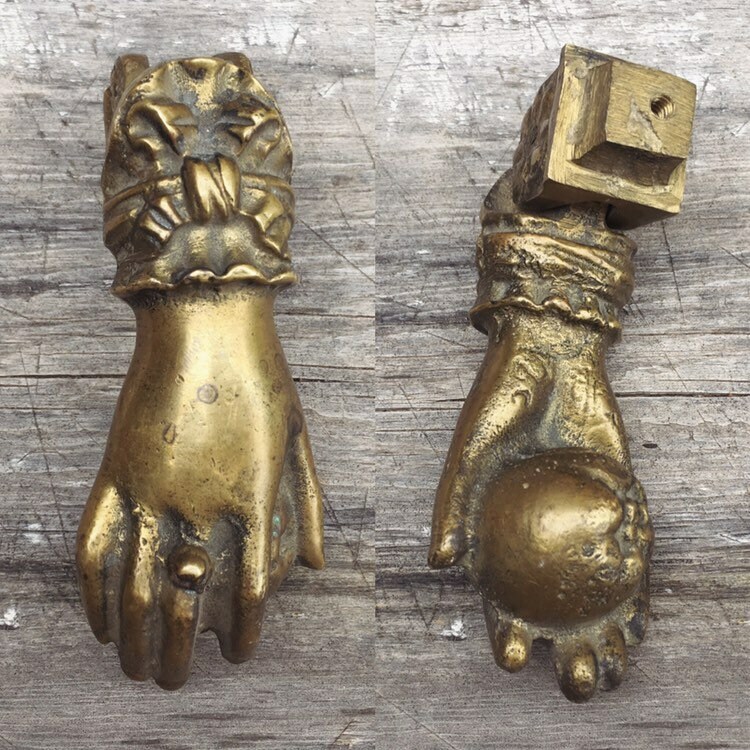 What And the twist about the door knocker? The item in the hand's palm is not a ball but rather...a pomegranate, which in Spanish is the "granada." 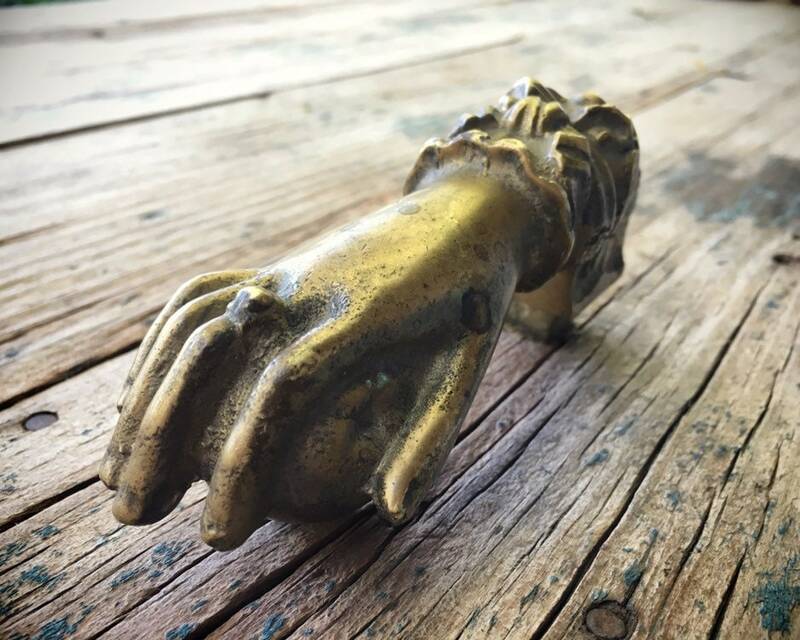 In Morocco, Spain, or Spanish Colonial cities like Oaxaca, often these brass hands are covered in verdigris, which makes them so gorgeous. The one has just the slightest hint of verdigris, likely polished off by someone who didn't realize that what you want over time is that blue green color. 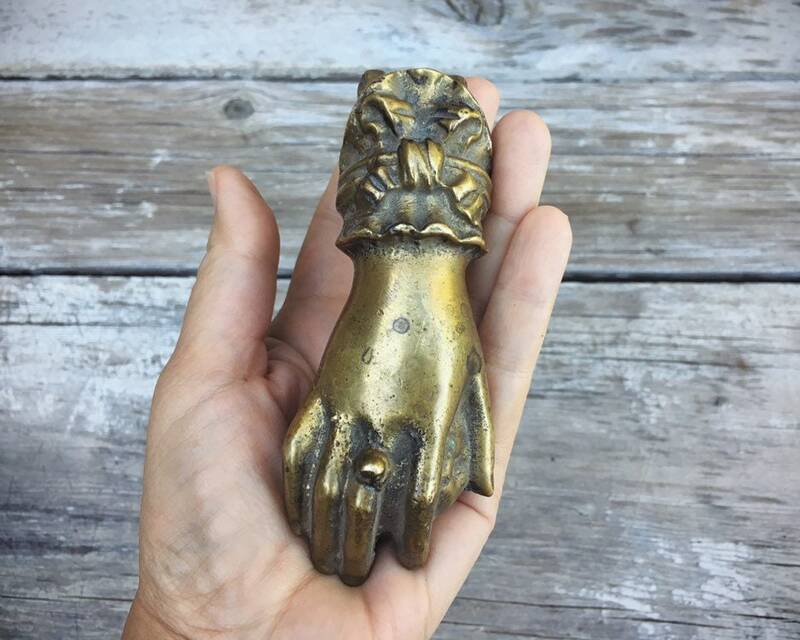 But this piece can get that same patina over time., and until then the patina is lovely, and I have not attempted to buff away a mark across the top of the hand. 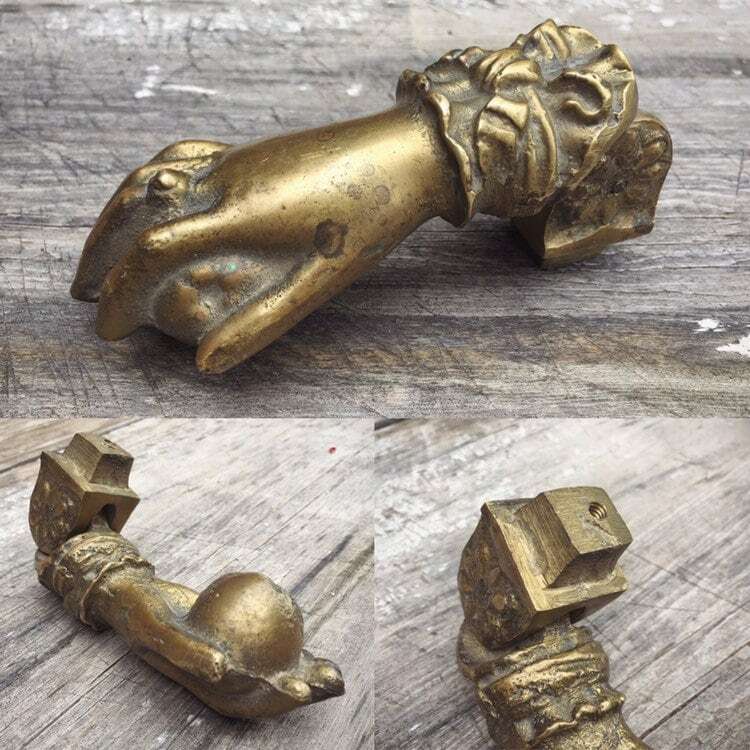 The piece doe NOT include its strike plate, and among all the hand door knockers I have found, most no longer have their strike plates. If one's door is heavy enough, or if there is a bolt in the door underneath the door knocker, no strike plate is needed. 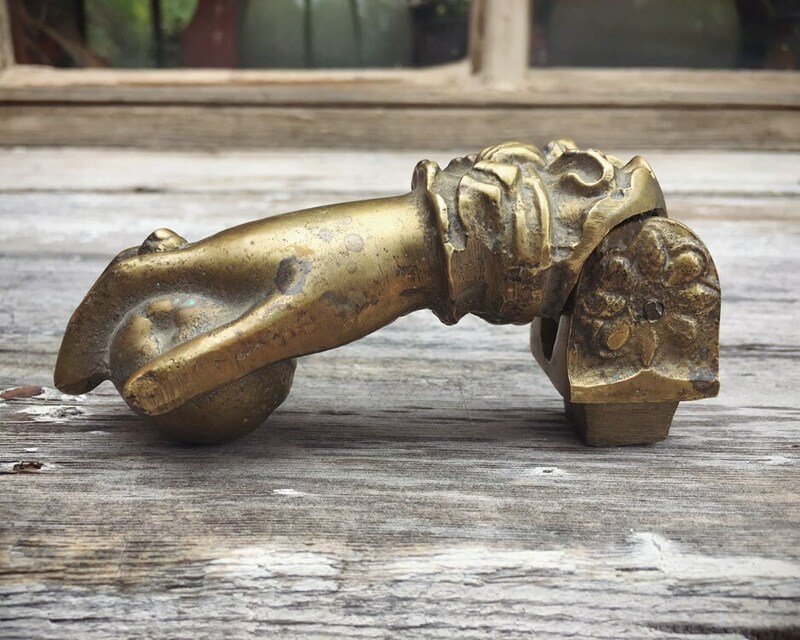 The door knocker measures 4-3/4" long by 2" wide. Weighs about 1.75 pounds. 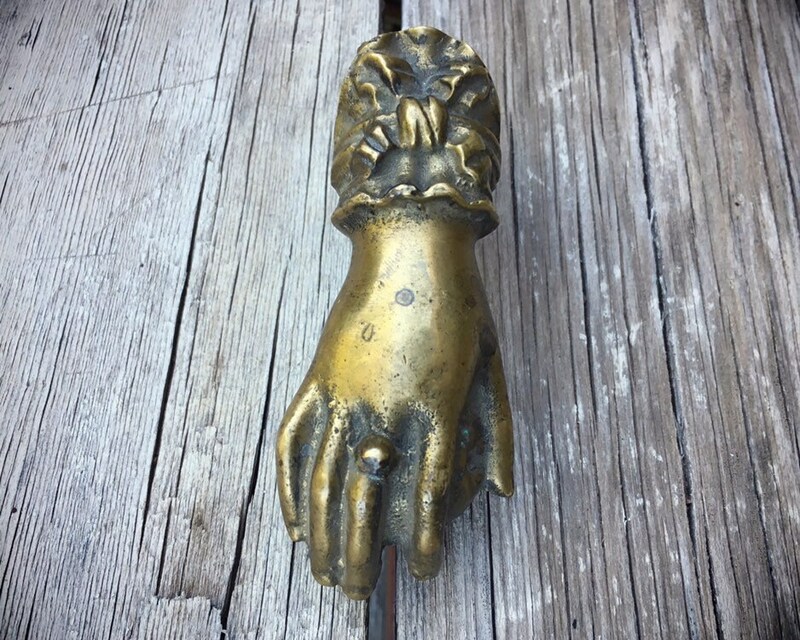 There is a small embossed mark on the palm that appears to be "2 c." Sometimes these hands have a wiggle or give from use, but this one actually has such a solid block--the part that goes into to door and hooks to the hand--that it is in better condition than most. 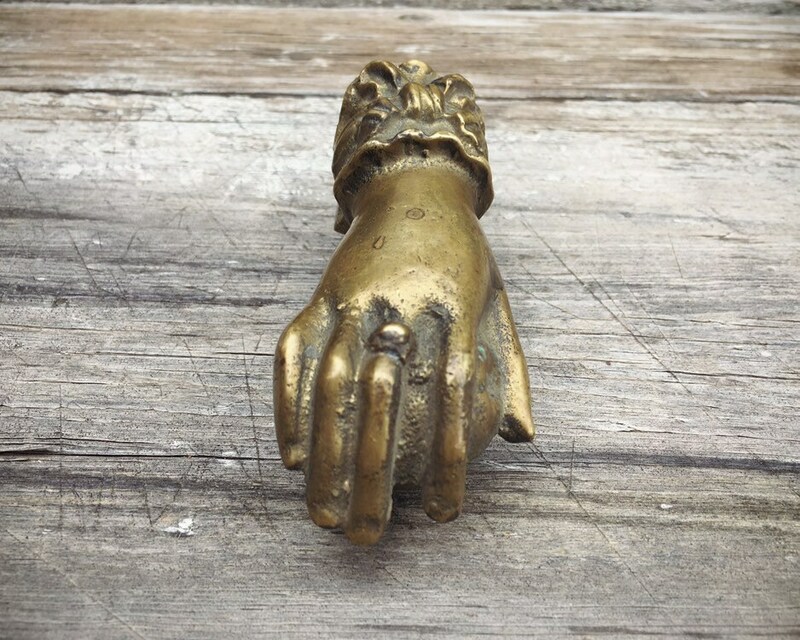 Inviting into the home while warding off evil.